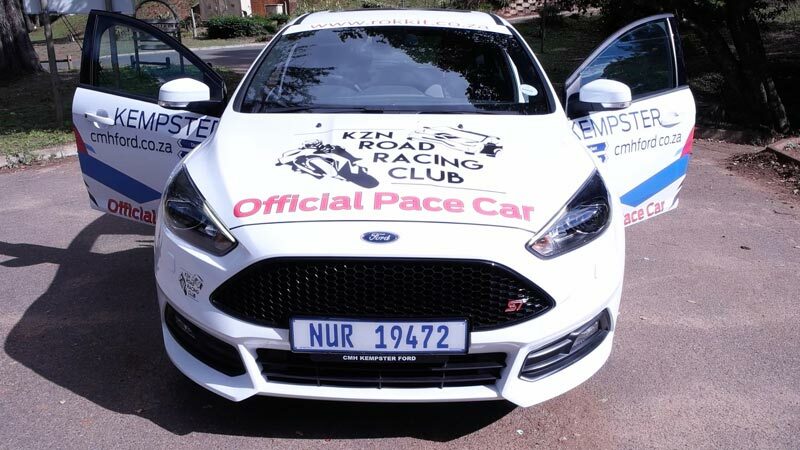 With KZN Road Racing Club events fast becoming a firm favourite, amongst both racers and race fans alike, and with the superb Dezzi Raceway in Port Shepstone now home to the KZNRRC, the next logical step in terms of increasing the safety and professionalism of race day events, was the ability to deploy a safety/pace car during key on-track moments such as during a caution period or inclement weather. 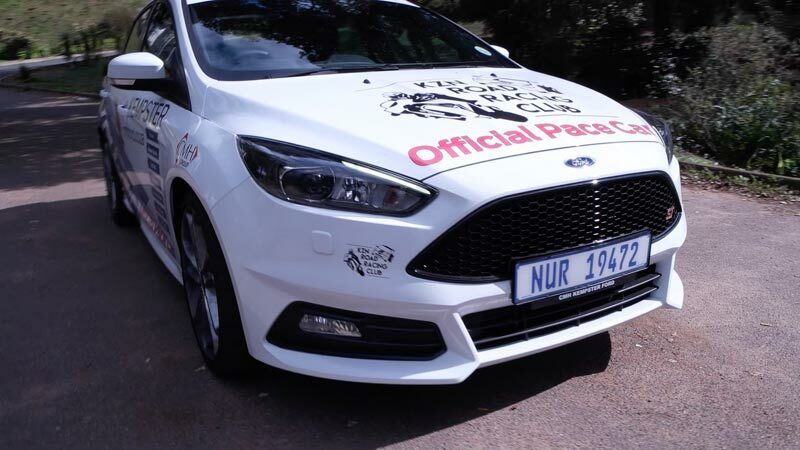 Introducing the 2017 KZN Road Racing Club Pace Car, proudly sponsored by CMH Ford and Rokkit Digital Agency. 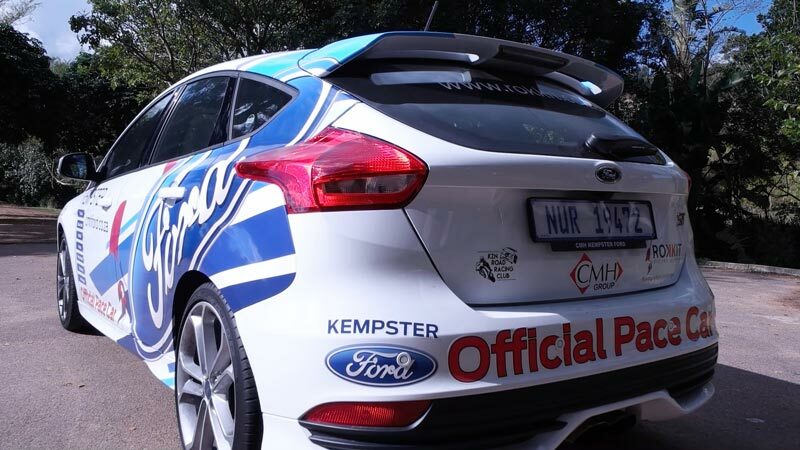 The CMH Ford Focus ST is the perfect vehicle to tackle the demanding duties of an official race day safety car/pace car, as well as Rokkit Digital Agency creators of KZNRRC’s new digital home on the internet and whose COO Clinton Massey-Hicks, himself a keen motorcycle racer and KZNRRC regular entrant. 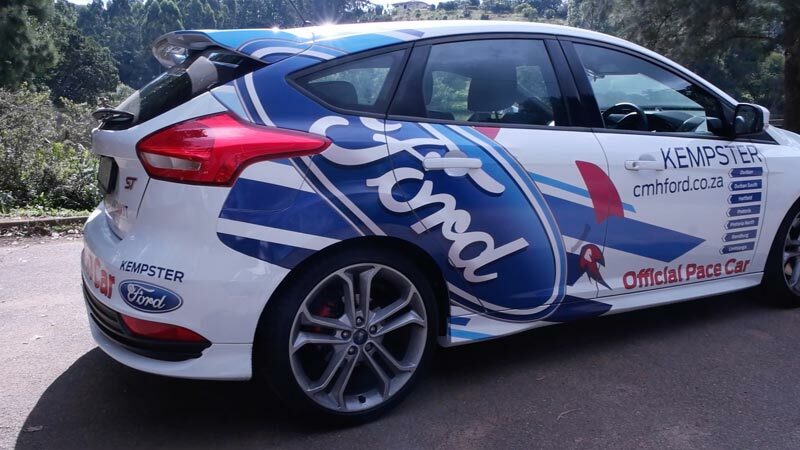 As is customary, a safety/pace car is usually a modified high-performance version of a production car, and ‘high-performance’ is definitely a term which accurately describes the Ford Focus ST. Now in its third generation, the Focus ST (Sport Technologies) is based on the Ford Focus Hatchback, however, that is where the similarities end. 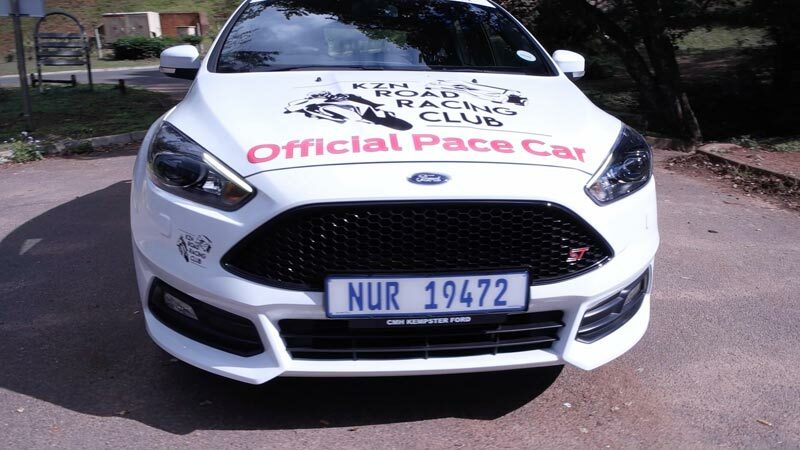 Powered by a 184kW 2.0-litre EcoBoost engine, the Focus ST can demolish the 0-100kph sprint in 6.5 seconds, with a top speed of 248kph, more than enough to keep up with the motorcycles and race cars of the KZNRRC at Dezzi Raceway. 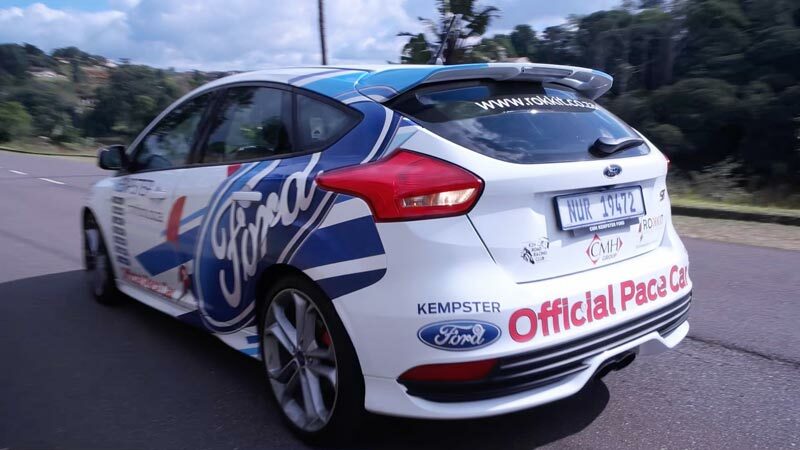 Featuring a tight and technical layout, all that power and speed would be relatively useless at Dezzi Raceway, without race-spec suspension and braking systems, and fortunately, the Ford Focus ST has both. Designed for maximum grip in the corners the ST features enhanced Torque Vectoring Control which reacts to the road surface and balances the amount of power and braking delivered to each of the two front wheels to maximise grip and sharpen handling, ensuring precise and predictable handling. Uprated brake discs and callipers ensure eye-popping stopping power lap after lap. Backing up the sporty exterior is a similarly sporty, yet functional and beautiful crafted interior. Featuring purpose built technology designed to aid the sporty nature of the ST, such as an additional bank of three gauges – an ST hallmark – situated on the instrument binnacle and displays turbocharger boost pressure, oil temperature and oil pressure information, perfect for keeping an eye on engine performance during hard track driving. A new, flat-base sports steering wheel with a soft-feel leather-covered rim, a satin chrome-topped gear lever and ST pedals deliver the dynamic interior that ST drivers expect. Keeping driver and passenger firmly in place during hard cornering are race-inspired Recaro sport bucket seats.